Don’t just stick the Halloween section in the nearest store. It doesn’t matter which dress you are going to choose, it will look scarier that’s for sure. Be it a dress, suit, or any other dress, drop any of the costumes into the bucket. However, you can pick costume from Easter, or St. Patrick’s day section as well. 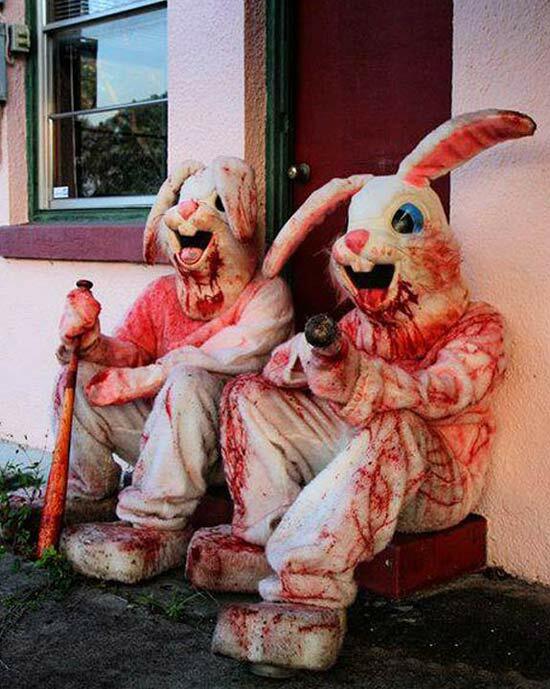 To get perfect zombie bunny appearance, choose a bunny costume. As we all know, zombies are dirty, cruel, and nasty. Nope! 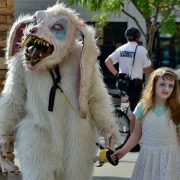 You don’t have to roll into the dirt to make the brand new bunny costume (that you just bought from Halloween superstore)to look old. In fact, you have an easy and better choice instead. All you need is black tea. Numerous costume makers for making costumes look older quickly have used it. Brew black tea in a big container. You can even use the bathtub for this purpose. Now add the costume inside the finely brewed tea. Make sure that the costume is completely dipped inside it. Don’t forget to age the head too. Now let it settle for some hours, and dry out completely. Use acrylic colors to make the costume look dirty. Rip some parts apart and put the grass stains on it with the help of green and brown colors. Using actual dirt can lead to skin infections or allergies, as you have to spend hours inside it. You can use any other safer method to put stains on the dress. After successfully making the costume dirty, it’s time to give the final touch with some artificial blood. You have to make the entire costume look like it has been eating flesh. Spread the bottle of fake blood all over the costume and a bit extra near the mouth and on hands. You can even tear some parts such as ears so that it looks scary as hell. 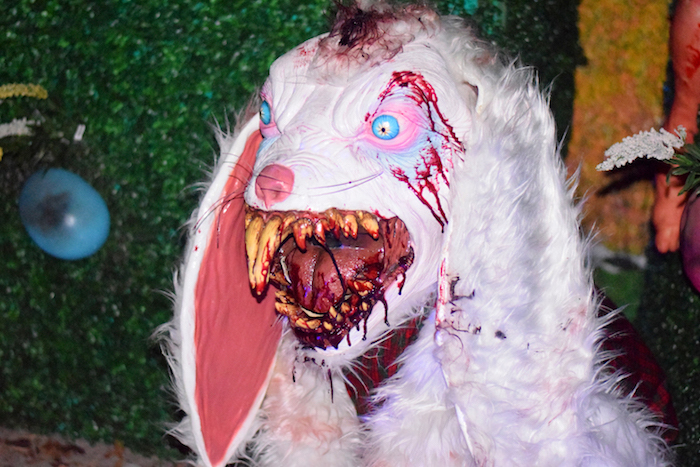 Now you have got the creepiest zombie bunny costume for the Halloween. 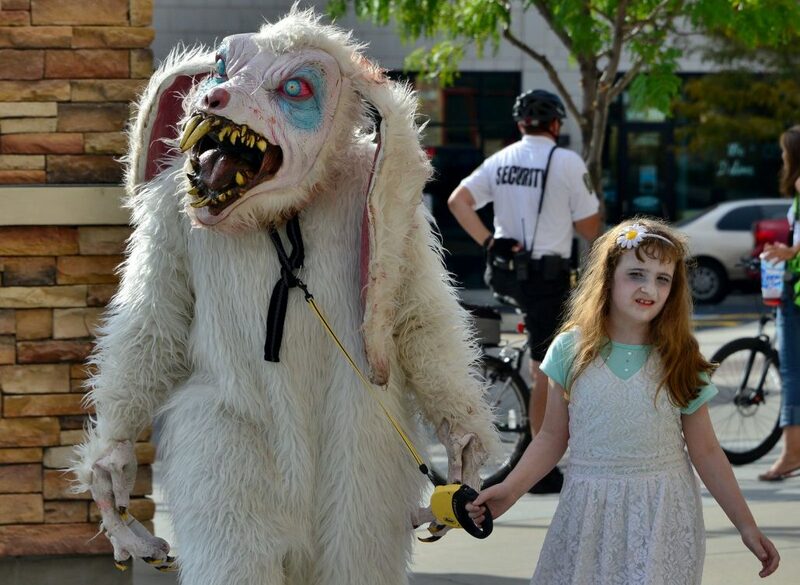 You can use your creativity to make other costumes look creepy by following the same steps. So what’s the delay? Go ahead, pick your favorite costume from Halloween Store CA, and enjoy the Halloween.